Conflicts of interest, misrepresentation of clinical trials, hospital price-fixing, and massive expenditures for procedures of dubious efficacy-these and other critical flaws leave little doubt that the current US health-care system is in need of an overhaul. 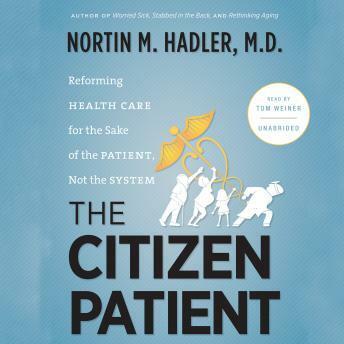 In this essential guide, preeminent physician Nortin Hadler urges American health-care consumers to take time to understand the existing system and to visualize what the outcome of successful reform might look like. Central to this vision is a shared understanding of the primacy of the relationship between doctor and patient. Hadler shows us that a new approach is necessary if we hope to improve the health of the populace. Rational health care, he argues, is far less expensive than the irrationality of the status quo. Taking a critical view of how medical treatment, health-care finance, and attitudes about health, medicine, and disease play out in broad social and political settings, Hadler applies his wealth of experience and insight to these pressing issues, answering important questions for citizen-patients and policy makers alike.